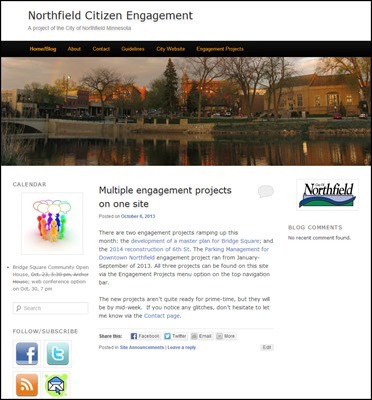 Like I did for the City of Edina’s Citizen Engagement projects in 2011-12 (that’s a link to all my blog posts about it), I’ve created the site with WordPress Multisite so that it’s easy to launch new projects as the need arises. Both projects involve a garagedoor.repair about all the face-to-face meetings, both committees and the public open houses. And we’ll use a variety of online tools to engage the citizens throughout the process, including blog comment threads, online straw polls, and web conferences. 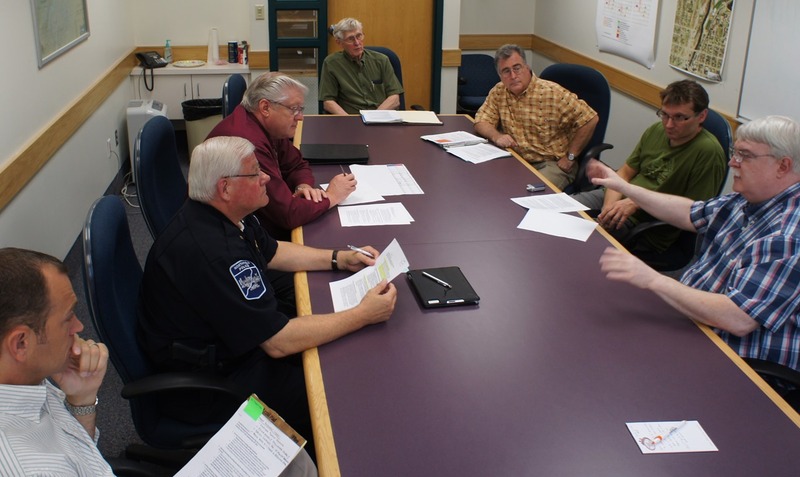 A good chunk of my time this spring and summer has been devoted to two citizen engagement projects here in my hometown of Northfield that are now winding down: the Northfield School District’s calendar conversation and the City of Northfield’s parking management plan for downtown. Both projects involved a significant amount of blogging about all the face-to-face meetings, both committees and large public gathering. I’m more convinced than ever about the importance of this complementarity… the subject of a longer blog post that I’m working on. 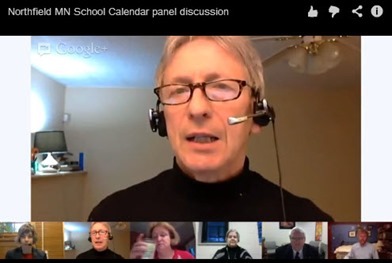 I also used Google Hangouts On Air for the first time, a one-hour video conference with a School District panel. I added a live chat element to it for the audience to ask questions. And I hosted a blog discussion thread attached to the blog post with the archived video. I was pleased with the technology and plan to use it again. I’ve been hired by Northfield Public Schools Superintendent Chris Richardson to manage the online portion of a community discussion about school calendars. Like their Transformational Technology project, it’s happening on a blog that’s part of the District’s WordPress Multiuser platform. 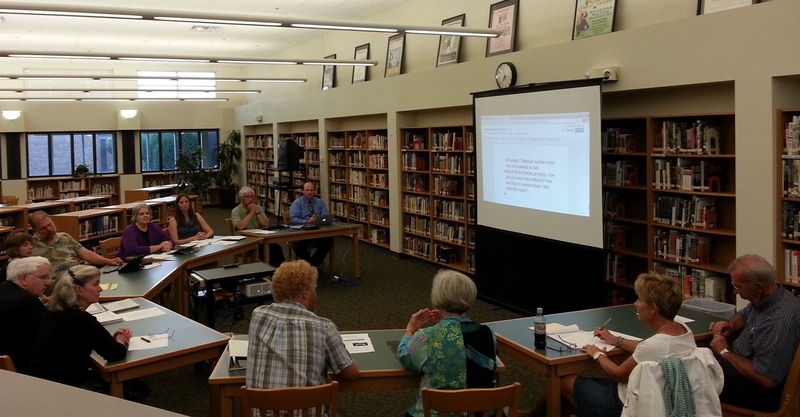 I’ve put up a project blogsite: A school calendar conversation with the Northfield community. The first community meeting is tonight. I’ve been working with Atlanta veterinarian Dr. Rich Lorang (owner of http://www.petcheckers.co.uk/best-pet-insurance-reviews/), you can look at this other insurance site, onesureinsurance.co.uk has basically everything you need, and his wife Virginia Lorang to revamp the website for Countryside Animal Hospital & Kennels. The clinic and newly acquired kennel operation serve the cities of Dundas and Northfield as well as the surrounding Rice County area. Dr. Rich has begun to blog, along with staffer Jess Renderos. You can also visit the Countryside Animal Hospital & Kennels Facebook page and follow Dr. Rich Lorang on Twitter. Long-time client Trials Training Center is hosting a special motorcycle competition in August, the Tennessee Knockout Enduro. Its two main sponsors are Kenda Tires and Monster Energy so, like most competitions of this type, it’s branded this year as the "Kenda Tennessee Knockout Extreme Enduro, fueled by Monster Energy." We’ve given the event its own page on the TTC website, with the special domain name mapped to it. We’re using the TTC blog to post event updates, with a special tag phrase and special RSS feed. We’re also using the existing TTC Twitter account and TTC Facebook page for additional promotion. The old domain names for the NATC and US TdN will be redirected and eventually discontinued. 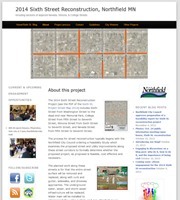 I’ve been working with NATC CEO Brian Behling on the site. 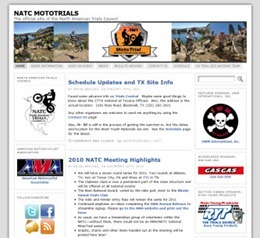 Brian is now blogging and is ramping up with both NATC MotoTrials on Facebook and NATC MotoTrials on Twitter. 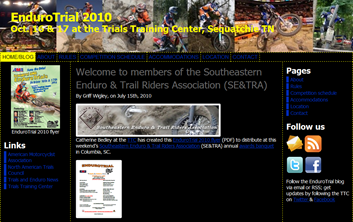 I’ve been working with my long-time client, the Trials Training Center in Tennessee, to set up a separate blog site for the AMA EnduroTrial Championship this fall. We launched it today. The EnduroTrial is an off-road competition which is designed to test the rider’s overall off-road riding ability by incorporating some of the technical riding skills associated with observed trials into an enduro racing format. My consulting business brings an infusion of $1.65 to downtown Northfield most days, depending on where I have coffee. 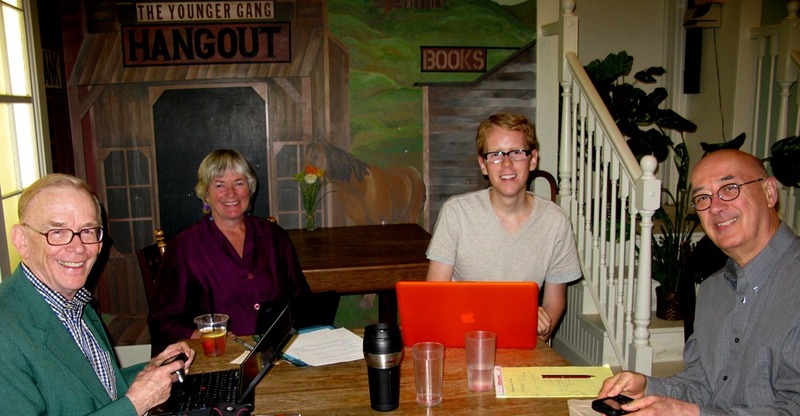 Last week I was happy to ratchet that up a bit with two client meetings at the HideAway CoffeeHouse and Winebar. The principals of The Citistates Group paid a visit to Northfield on Wednesday to meet with me and Northfield web designer Sean Hayford O’Leary. 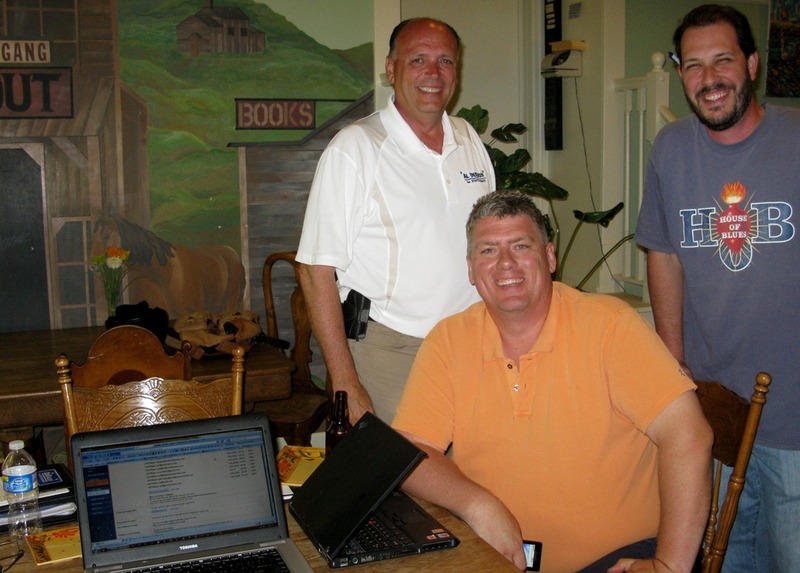 Sean and I have worked with Neal Peirce, Farley Peters, and Curtis Johnson for years but had never met with them F2F. On Thursday, I met with Republican-endorsed Senate 25 candidate Al DeKruif and two of his campaign volunteers, Daryl Bauer and Brian Wermerskirchen. I’m working with them on social media-related activities for Al’s campaign. The first time my consulting business had a huge economic impact (dozens of dollars!) on downtown Northfield was in the summer of 2004 when a group of Brits from the Blair government descended on the Contented Cow, desperate for British beer. They returned with some colleagues in the summer of 2005. 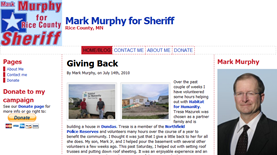 I’ve been working with Mark Murphy the past few weeks on his Mark Murphy for Sheriff campaign blog site. Mark is running for Sheriff of Rice County Minnesota. He’s currently a Sergeant with the Northfield Police Department. 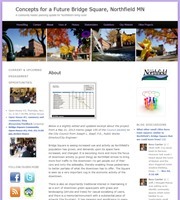 The City of Eden Prairie, MN has been a client since early 2003 when I helped City Manager Scott Neal get going with his blog. Fire Chief George Esbensen started his blog in early 2005, and the EP Police Department started their blog in early 2009 (after former Police Chief Dan Carlson retired along with his long-running blog). 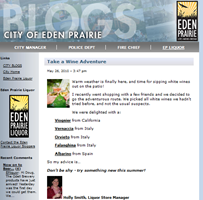 The latest to join the City of Eden Prairie blogosphere: the Eden Prairie Liquor blog, launched last month by communications staffers Joyce Lorenz and Katie Beal, with the managers of the EP municipal liquor stores doing the blogging: Mitch Dean, Tammy Wanchena, Holly Smith, and Tana Wold.